The following is a guest post by Camilla Chance, author of Wisdom Man: Banjo Clarke. If you would like to write a guest post on my blog, please send me an e-mail at contact@cecilesune.com. We can learn much from the Aboriginal people and Aboriginal Elder, Banjo Clarke, whom Camilla Chance writes about in her award-winning book, Wisdom Man. Like the white culture in the United States that had enslaved, colonized and controlled the black man, so we have the story of Banjo Clarke, Aboriginal Elder, whose Aboriginal culture in Australia was in much danger of destruction by the white man. What we find in each of their histories is that it takes a few generations to bring some sense into the powers that be to accept all colors and cultures and learn from them, not destroy them. Banjo is a symbol of kindness and compassion and how not to give up on humanity. In this book, he teaches us all how to be kind to one another and accept people for who they are, not what color they are. Camilla Chance became close friends with Banjo Clarke approximately thirty years ago. They became such good friends that he and his family gave permission to tape Banjo as he talked about the history of his life and his country and all that he had gone through, with the hopes that these tapes would be written into a book to share with the world. 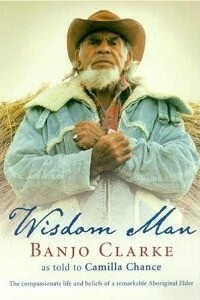 As a result, Camilla Chance has written this amazing book about an amazing man, Banjo Clarke, Wisdom Man. The book was on the best-seller list in Australia, and an Australian documentary made about it was nominated for a Humanitarian Award. Its author Camilla Chance was also the first non-Aboriginal to receive the prestigious Unsung Hero Aboriginal Award for her dedication and work for the Aboriginal people. In addition, the book has also won the USABookNews.com award here in the USA for best Multicultural work. More about the book: Wisdom Man by Camilla Chance. 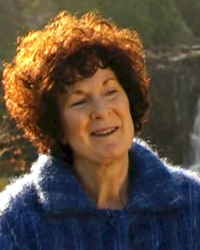 Camilla Chance was born in Reading, England and came to Australia in 1946. She has worked as an editor at Faber and Faber, an English teacher and a book reviewer, and now lives in Warrnambool. She became a close friend of Banjo Clarke after first meeting him in 1975. At his request she began interviewing him soon after, continuing until his death some twenty-five years later. Banjo Clarke was convinced that traditional Aboriginal values could help the world counter greed, conceit, and lack of human caring, and he wanted his story recorded in his own words by someone he trusted outside his family. She will be coming out with a new book sometime in 20l6.